The fifth edition of Santa Run For Wishes is gearing up for another fantastic day of fun and festivities for the whole family! Runners can look forward to new, spectacular running routes this year and great merchandise and goodie bags! Why not usher in the jolly season with us? 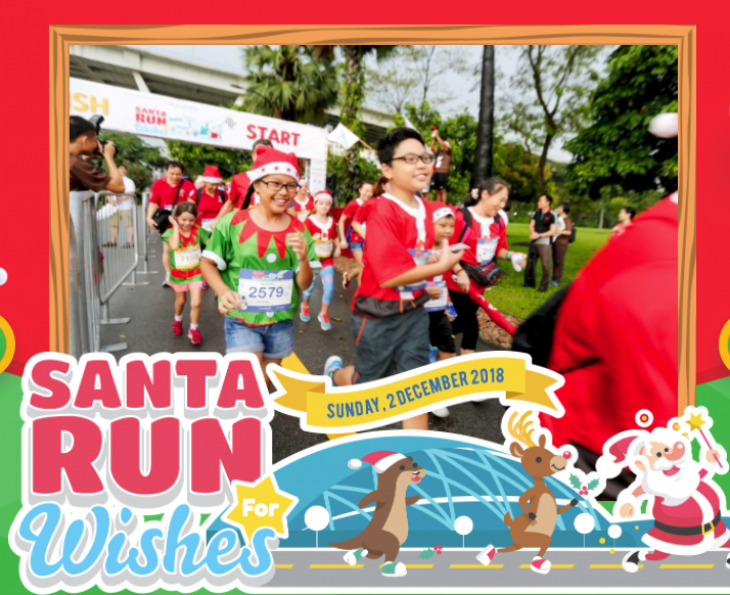 Join us as we kickstart the festive season with our 2.5km, 5km, and 10km runs and Christmas carnival! All registration and donation proceeds will go to Make-A-Wish Foundation® (Singapore) Ltd to help grant wishes of children with life-threatening conditions. *Early Bird Pricing applies for the first 500 runners!